The Carnegie Gallery is featuring its latest exhibit from Open Door Art Studio. Join the Friends of the Library for an opening reception, Thursday, January 12 from 5:30 to 7:30 in the Main Library’s Carnegie Gallery (2nd floor). Open Door empowers artists with disabilities to develop unique, artistic voices and to experience opportunities afforded through the arts. We believe that creativity knows no boundaries and that all individuals deserve an environment for expression without limitation. “Art from the Other Side” includes a truly remarkable body of work from artists who cannot easily be defined by a particular movement. 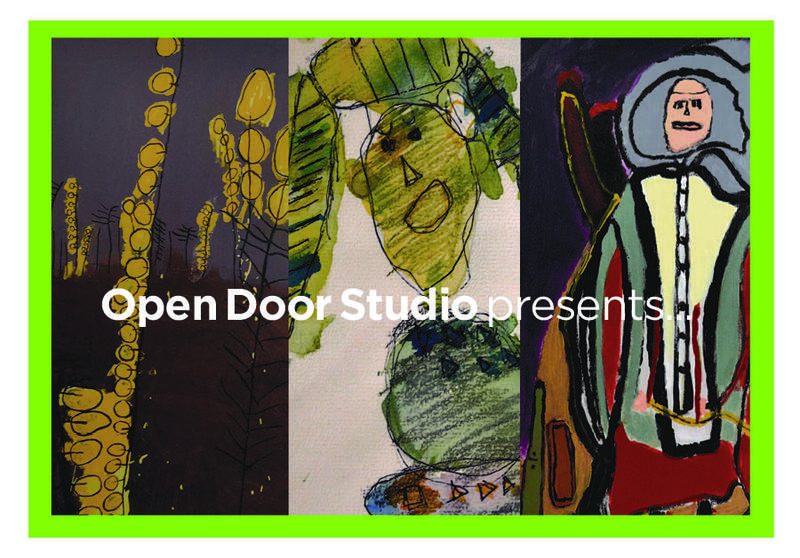 Open Door Art Studio is a division of Columbus Center for Human Services, Inc. Curated by Stephanie Rond.